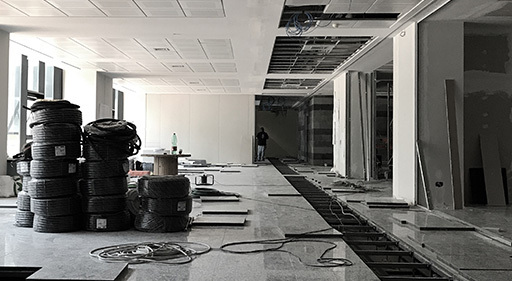 The new Innovation Hub, which promises to be one of the largest and most advanced in Italy, will be unveiled to the general public on the 17th of July, 2017, in Acireale, Sicily. It is a few days before the grand opening ceremony and the construction site is almost over. A technology-heaven “Where ideas become reality”. This is the mission of the Free Mind Foundry (FMF), born in the Sicilian territory, with an international vision. FMF will be populated by young and talented dreamers that want to embrace the digital transformation and build a new sustainable economy for our country. Many digital companies operating in different markets will join forces and work together side-by-side in different fields such as renewable energy, videogames, artificial intelligence, big data and IoT. The Hub has already been joined by BaxEnergy, Red Raion, Rimlight Studios, WiSNAM, Digital Shell and several other companies that have proven themselves worthy of the international attention. Free Mind Foundry is based on an innovative and sustainable design by Dr. Eng. Simone Massaro, BaxEnergy CEO and member of the Microsoft ISV Executive Board and advisor to several leading technology companies. 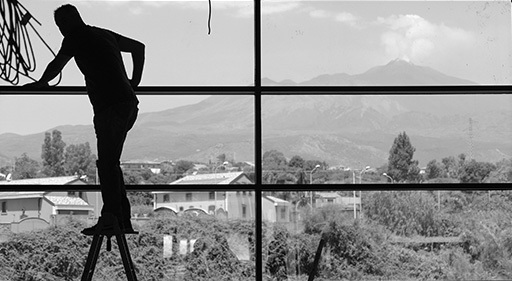 During the last 5 years Dr.Massaro has contributed to bring the Etna Valley back on the international scene. FMF is the ready answer to the great and fast shift that we are living nowadays. The digital transition is not just the definition of new technology era, but it is a real metamorphosis in the way we perceive business, and it is certainly playing a fundamental role in changing thinking and behaviour. Free Mind Foundry will become the new central reference point for the territory and a venue in which events, workshops and conferences will take place in the next future, and a true digital community will grow. In his final statement Dr. Massaro concludes that “This Innovation Hub represents a tangible example of what is possible to reach when young, talented and passionate people join forces to make their dreams come true and we are going to live it!”. BaxEnergy is dedicated to deliver innovative turn-key solutions to renewable energy players for complete visualization, data analysis and optimization of their power plants. The Company combines extensive domain expertise with the latest cutting-edge technologies available in the market to develop the next generation asset management platforms Energy Studio Pro® and AssetStack®. People in BaxEnergy put passion and enthusiasm in everything they do, working cooperatively in a group of peers and enhancing the skills and qualities of each other. WiSNAM has more than 10 years of experience in electronic measures and sensor networks for renewables management, building management and of Industry. The Company relies on many strategic partnerships and operates with academic institutions as the Italian National Institute of Nuclear Physics (INFS) for radiological applications. WiSNAM takes care of all the phases of design and development of large-scale industrial-grade data processing solutions which include both software and hardware design. Established by industry experts, Digital Shell is specialized in designing and developing high-quality software solutions for customers’ biggest digital challenges. Digital Shell creates and delivers highly scalable solutions for data visualization that are visually appealing, intuitive and easy to use for anyone. The Company’s core services are BigData and IoT solutions to handle large volume of distributed data, data visualization and mobility to empower users in remote working and the creation of open and flexible platform for large-scale data crunching and KPI calculation. Rimlight Studios specializes in designing and developing high-quality video games for console and PC. The Company’s mission is to create and deliver visually appealing games that can be played by anyone, providing good old-school fun. Rimlight Studios core services are building user Interface experience (UX, UI), optimizing contents for best performances, visual appealing design and building smoothest interactions between software & users. Red Raion is the first virtual reality movie production studio in the industry of fun, for the most advanced motion theaters and simulators. The Company produces movies to make the audience feel the most intense thrills and emotions. Stormind Games develops games for PC and consoles. The team consists of experienced 3D artists, modelers, animators, game developers and graphic designers specialized in the production of CGI movies and videogames. Intellisync is an IoT Company with a particular focus on BigData, artificial intelligence and mobile applications. The Company is specialised in software development by using next-gen technologies and methodologies. FREE MIND FOUNDRY is an inspiring place where Community, Collaboration, Sustainability and Innovation come together and young, talented and passionate people join forces to make new ideas come true. Graduates, start-uppers, academics, entrepreneurs and managers stand side-by-side, exchange their vision of the future, anticipating new trends in the Industry and seizing opportunities for new businesses.